DCNR and the Pennsylvania Park and Recreation Society (PRPS) are inviting Pennsylvanians to find some healthy fun at a park or recreation program close to them through a new website, brand and outreach effort. The “Good for You, Good for All” campaign is intended to broaden awareness, and increase engagement and support for local parks and recreation. 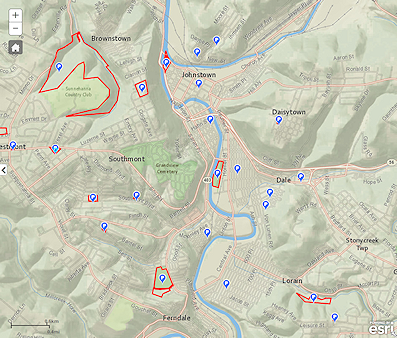 The campaign hopes to make more than 5,600 local parks go-to destinations for Pennsylvanians with a new interactive map feature at www.GoodForPA.com. The map lets visitors search for a local park nearby or by county; provides aerial photgraphy of the facility and a list of amenities available. Increased tourism and visitor spending. “Governor Wolf recognizes and supports providing and promoting outdoor recreation as part of the effort to create jobs that pay in our commonwealth,” Dunn said. A “Good for You, Good for All” electronic toolkit of brand and marketing materials is being made available to municipalities and parks and recreation providers as part of this campaign. Pennsylvania’s new five-year Outdoor Recreation Plan to connect citizens to healthy outdoor recreation shows maintenance of existing park and recreation areas continues to be a top concern and priority for citizens and providers, and that park and recreation services are a central asset in combating societal health care issues like obesity and mental health. The “Good for You, Good for All” initiative meets one of 83 action steps outlined in the recreation plan to develop a unified brand for local parks and recreation with accompanying marketing strategy. The GoodForPA.com website meets a second goal of launching a mobile-friendly website to help residents easily find local parks. To view the outdoor recreation plan visit www.paoutdoorrecplan.com.